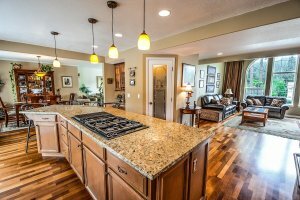 When you’re ready to sell your home, it’s important to do a few key things to make it more sellable. Home buyers want to have a move-in ready home. The less they have to do, the more desirable your home is to them. You can do a few DIY chores to get your home ready to sell. A little bit of paint goes a long way. It’s amazing how something as simple and cost effective, as painting, can completely change a property’s value in a buyer’s eyes. 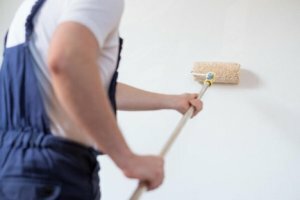 You may have decided to paint various rooms in your home over the years. Kitchens may be yellow or red, bedrooms may be teal, and family rooms may be pinstriped. Whatever the scenario, those were chosen based on your personal preferences. Home buyers may not want such bold choices in their home. Consider repainting the interior of your home to a more neutral tone that will help your potential buyer envision themselves in your space. That doesn’t mean you have to break out the white paint, though. You can choose from a number of interior paint colors once you start the painting process. Your driveway is one of the first things that potential buyers will see. You need to do everything you can in order to enhance curb appeal. If your driveway is cracked, it can make people question whether you’re taking care of the home. If your driveway is beyond repair, then it may be better to install a new one. You have different options for choosing pavement, but asphalt is a great option when you want something that is durable, low-maintenance, and cost-effective. There are a few ways to fix an asphalt driveway. First, get rid of any weeds that may have made their way through the surface. Then, use a stiff broom to remove dirt and debris. Use asphalt paste in all of the cracks. Then, consider using a sealer to coat your driveway so that it looks better (and stays that way). A quick, cost-effective, trick to squeezing out some extra value is sanding and refinishing hardwood flooring. 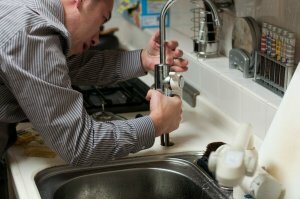 Depending on your area, you could potentially save up to 75%, compared to removing and replacing it. When you have hardwood floors, it’s a great way to attract buyers. It’s considered one of the premium flooring options. To ensure that your floors look great, take some time to refinish them. This will get rid of the various scratches and scuffs that are currently there. You might be surprised by what damage can be removed with a buffer. If there is extensive damage, you may also want to look at sanding the floors. From there, you will add a fresh coat of wax. This will add a beautiful gleam to the floors so that they show off well to potential homebuyers. By taking the time to complete a few tasks around the home, it will show better. People will like what they see and be more likely to put in an offer. Plus, your hard work means that there’s less for them to worry about after signing the deal, which is extra incentive for just about any buyer. Things can be a little more tricky in the winter. But, “Winter Home Selling Woes Be Gone” has some great tips on methods to make your home stand out from the competition! Are you looking to sell your house fast in the Cape Coral area? Put more cash in your pocket with Bourbon Street Homes.